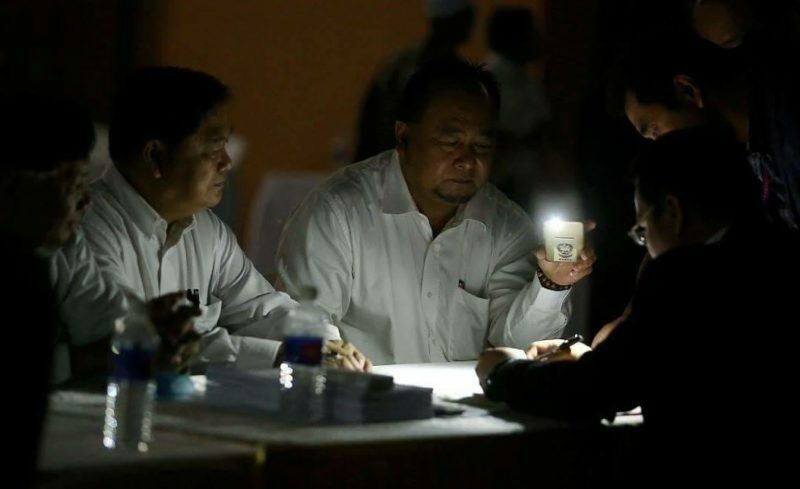 Warisan candidate for Tambunan, Jstin Alip, needs the help from his aide, Bassal Bullah, to use light from his handphone in order to make sure that his nomination papers were in order. 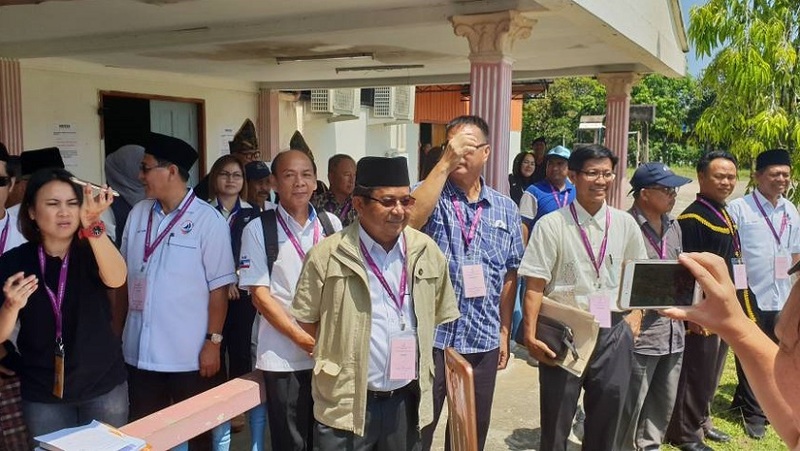 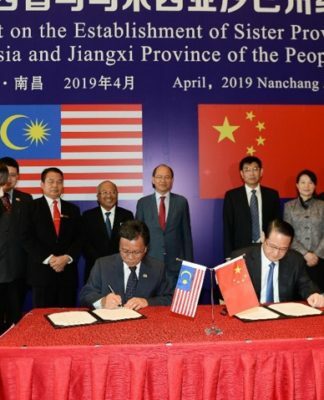 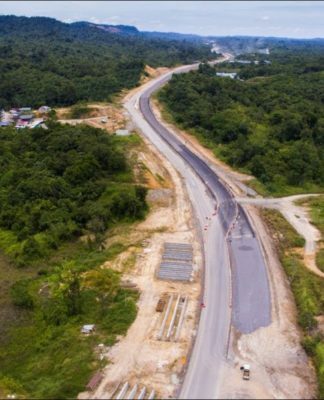 There was a momentary blackout in Keningau while nominations was in progress Saturday morning. 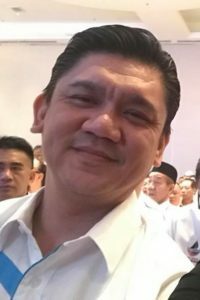 Sharif Azman Sh. 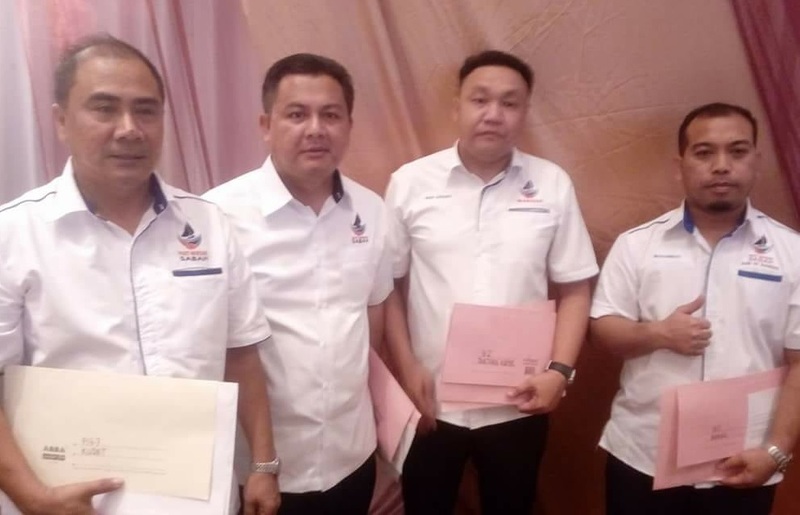 Ahlong, Maklin Masiau, Chong Chen Bin and Mohammad Mohamarin, the Warisan Sabah candidates in Kudat. 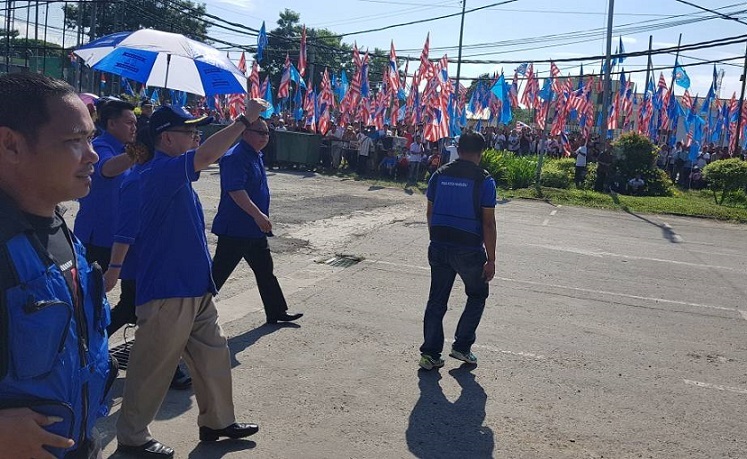 Maximus Ongkili, the BN incumbent for Kota Marudu waves to the crowd as he heads to the Nomination Centre. 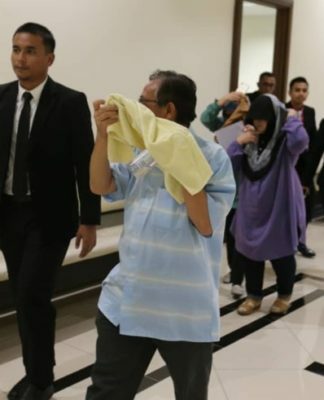 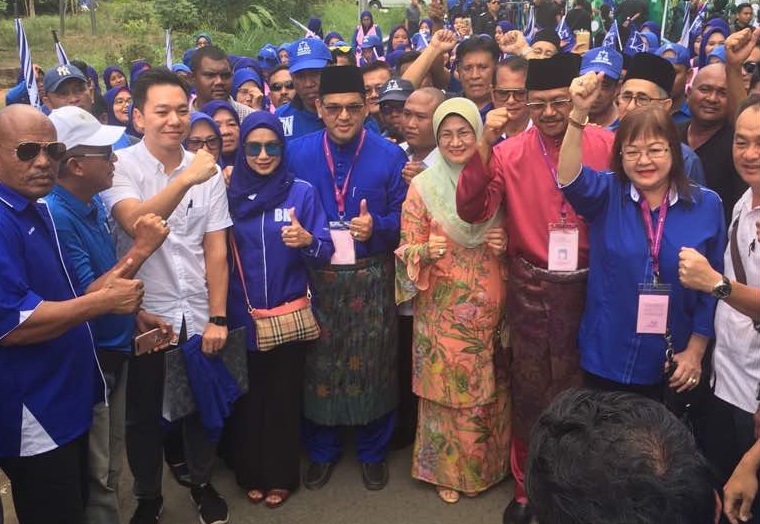 Salleh Said with the other hopefuls vying for the Kota Belud parliament seat as well as the three State seats. 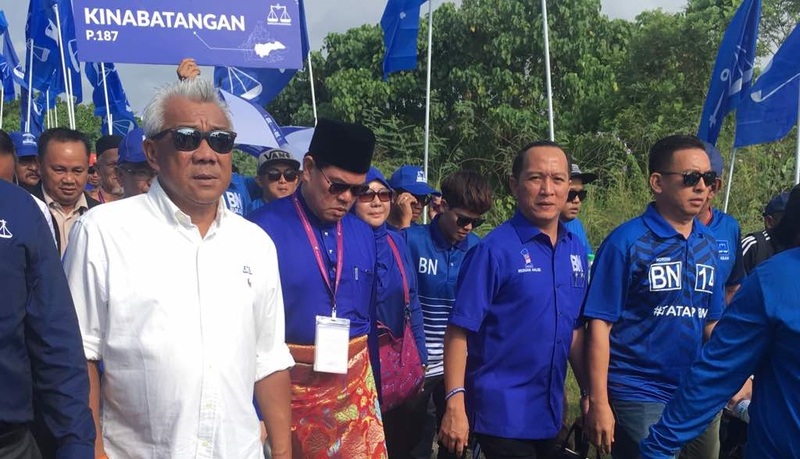 Joniston Bangkuai the BN incumbent for Kiulu as well as other BN candidates in the Tuaran parliamentary seat march with their supporters to the Nomination Centre. 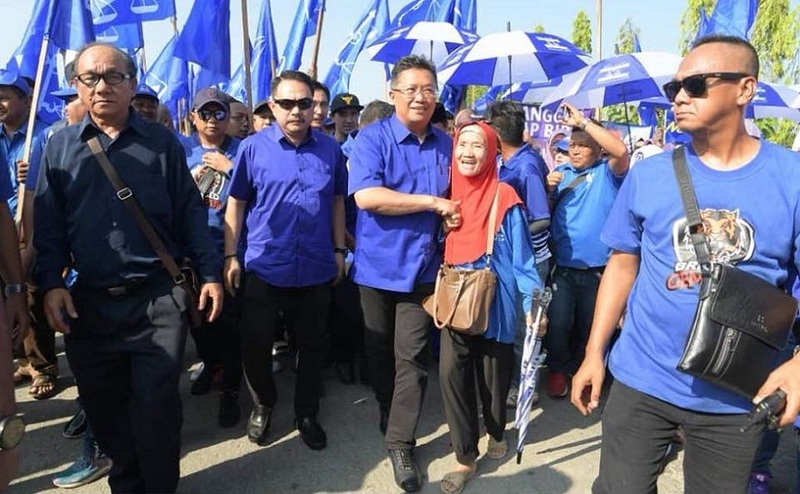 Rahman Dahlan has switched from Kota Belud to contest in Sepanggar. 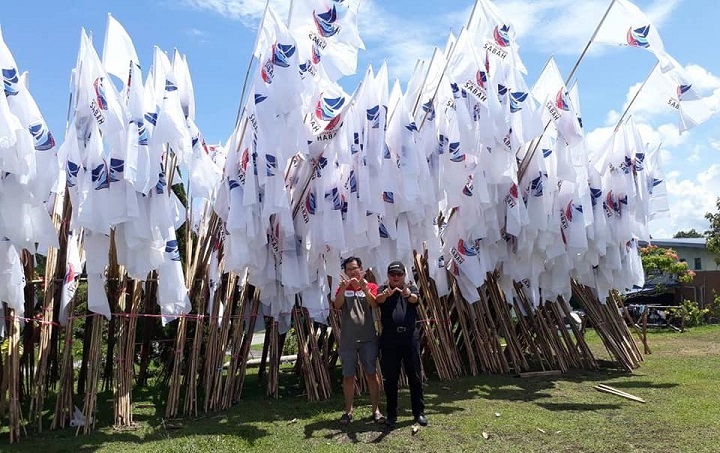 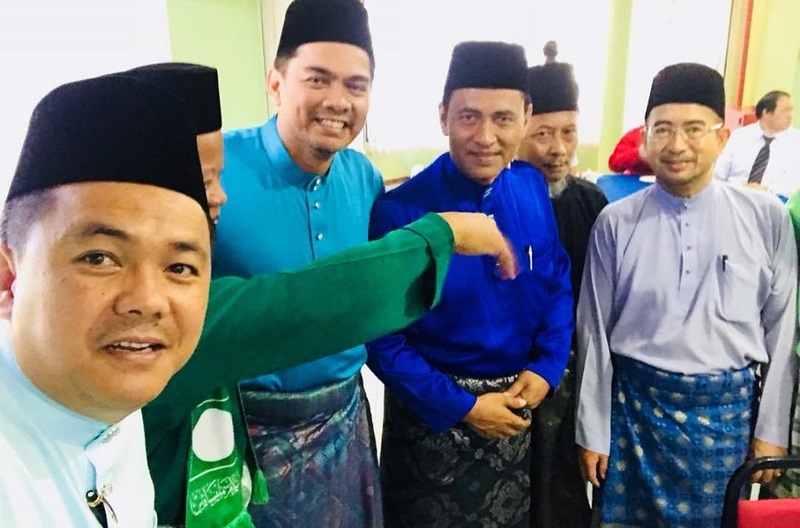 Warisan’s Azis Jamman, centre, who will be up against Rahman Dahlan in Sepanggar, and Azhar Matussin, right, who is the Karambunai candidate. 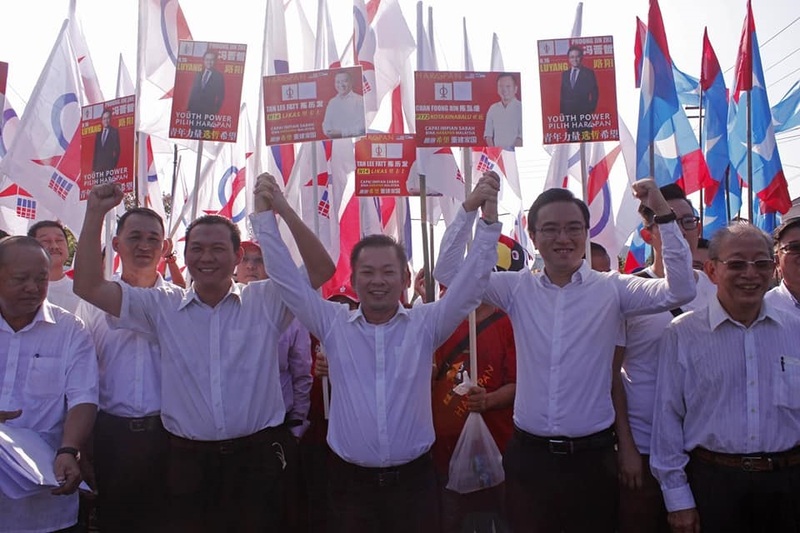 DAP Sabah secretary Chan Foong Hin, centre, with Phoong Jin Zhe and Tan Lee Fatt, the DAP candidates for Luyang and Likas respectively. 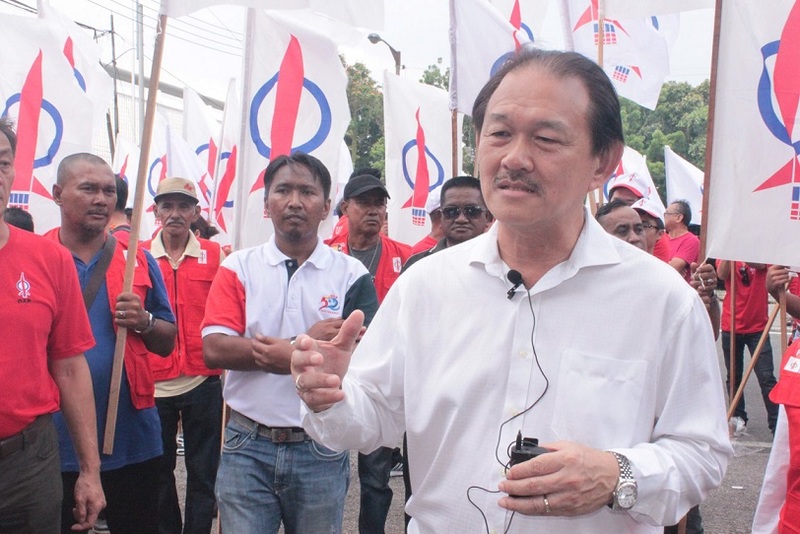 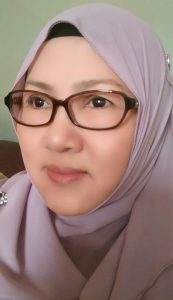 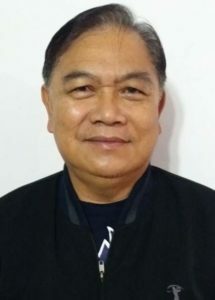 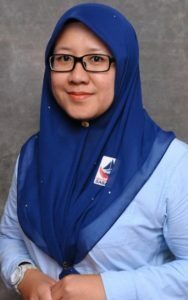 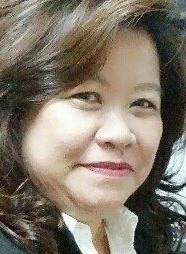 Chan is contesting the Kota Kinabalu parliament seat. 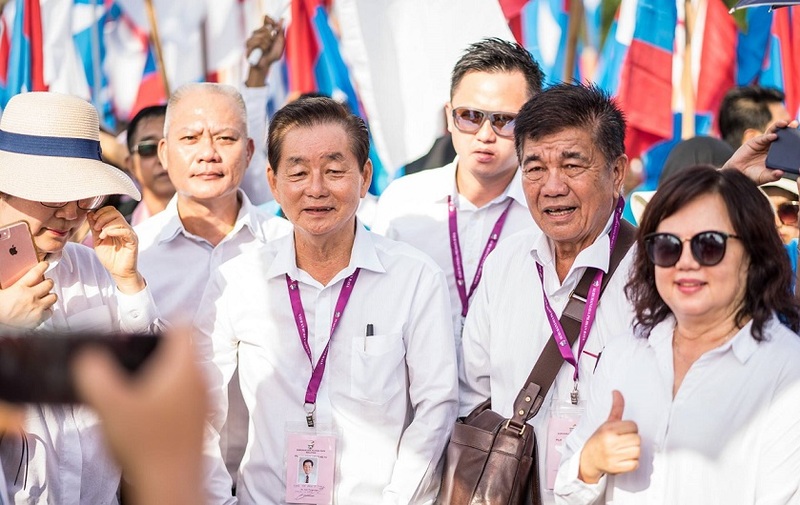 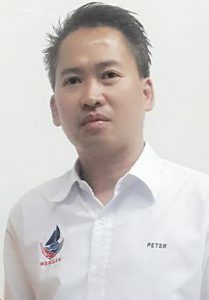 Richard Yong, Lim Kat Chung, Gee Tien Siong and Yong Teck Lee – the SAPP candidates. 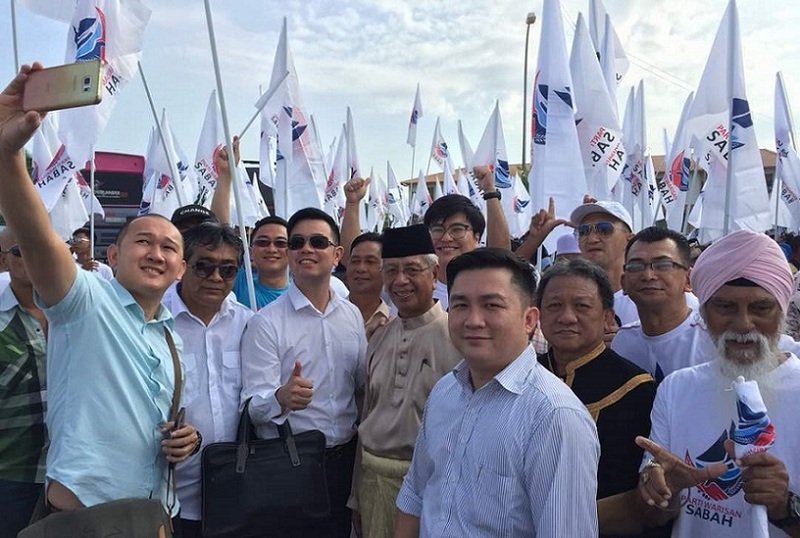 Parti Warisan vice president Junz Wong, with dark glasses, is contesting the Tanjung Aru state seat. 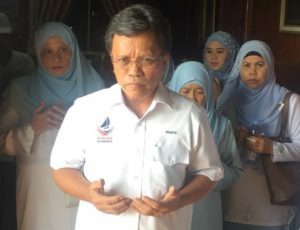 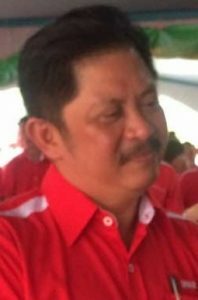 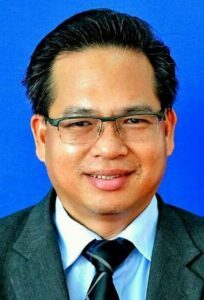 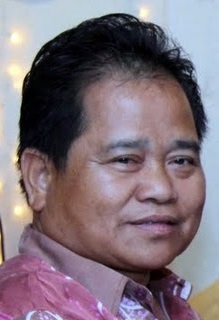 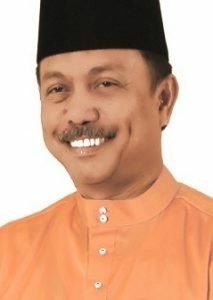 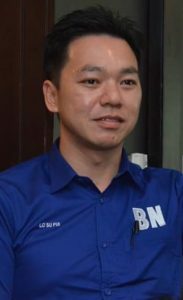 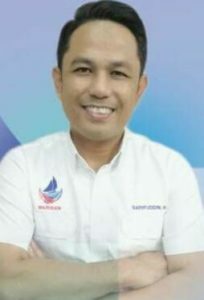 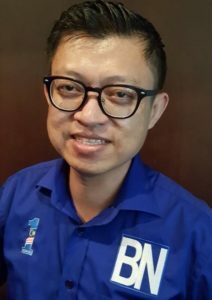 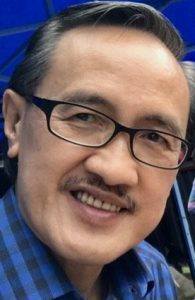 Karim Bujang, the former Bongawan Umno Assemblyman is now contesting the Kimanis parliament seat where he faces the incumbent Anifah Aman. 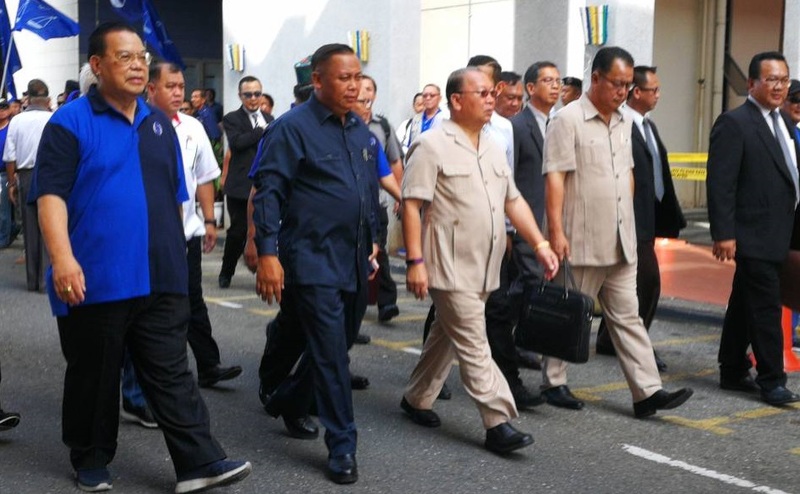 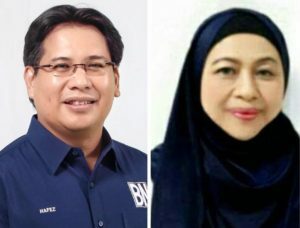 Mohd Arifin, Anifah and Mohd Alamin – the BN incumbents in Membakut, Kimanis and Bongawan respectively. 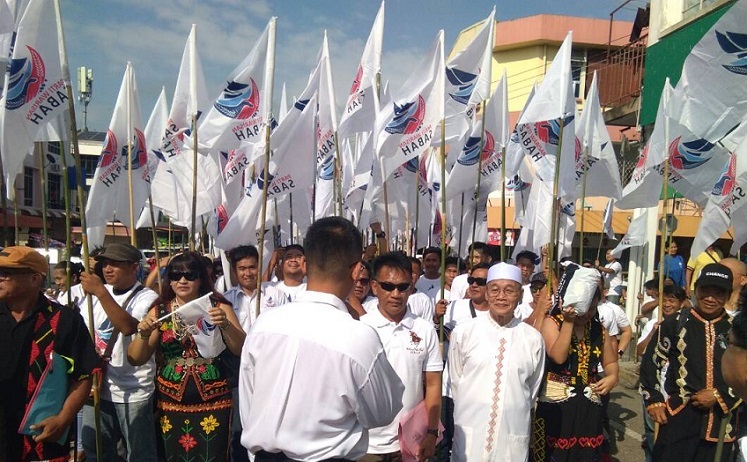 More than 1,000 Warisan supporters turned up in Tenom, many in their fine Murut costumes. 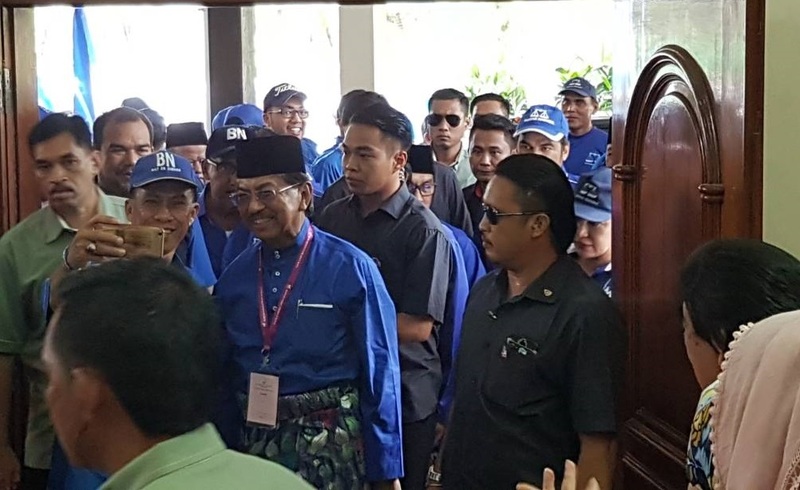 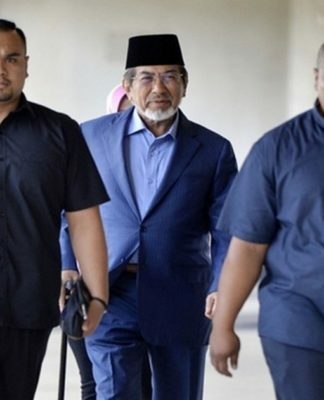 Musa Aman comes to file his nomination papers for Gum Gum. 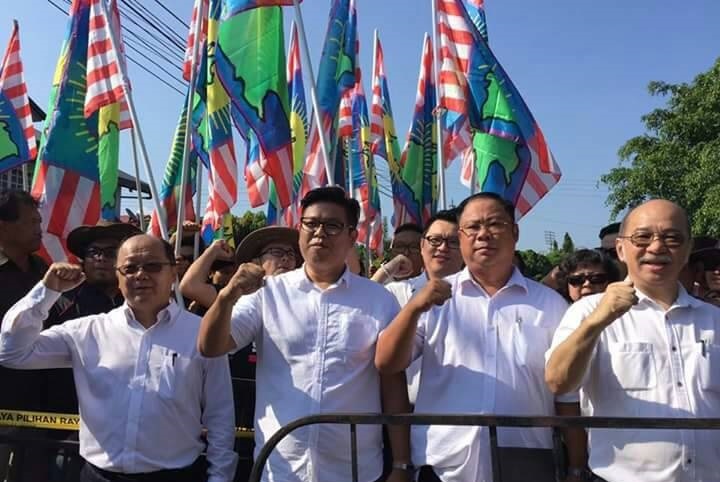 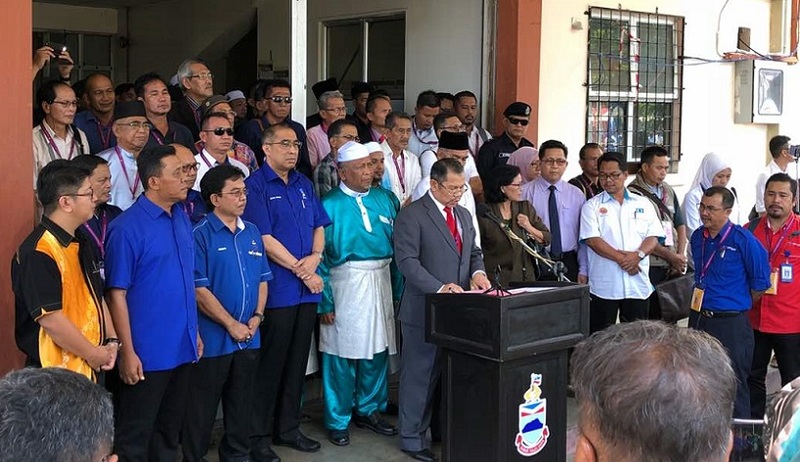 Batu Sapi will see a four-cornered fight involving VK Liew, fourth from left, the former LDP president and Sandakan MP as well as BN incumbent Linda Tsen, fourth from right. 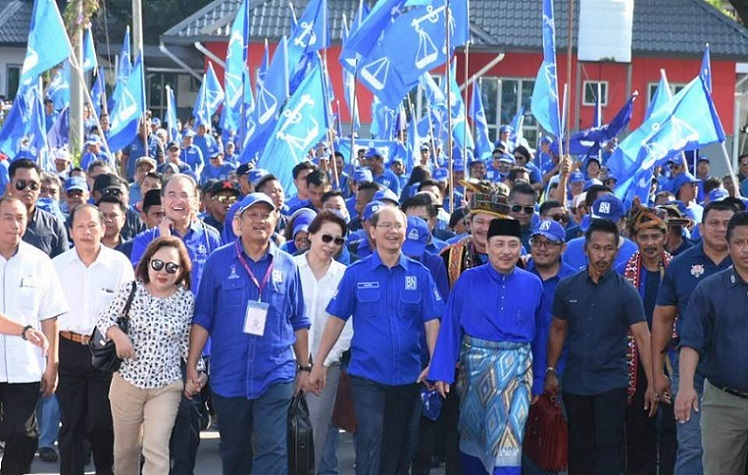 The BN candidates for Kinabatangan. 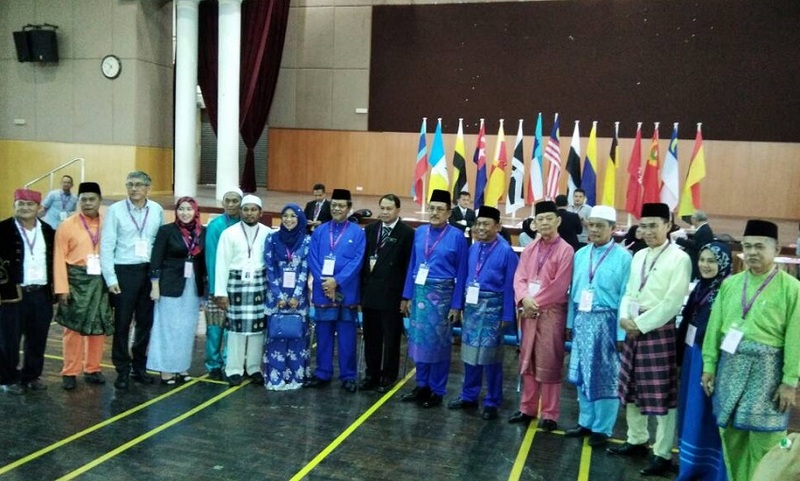 The various candidates for Silam. 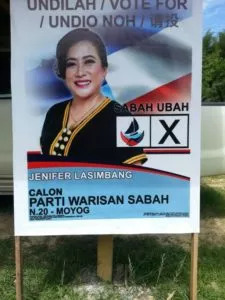 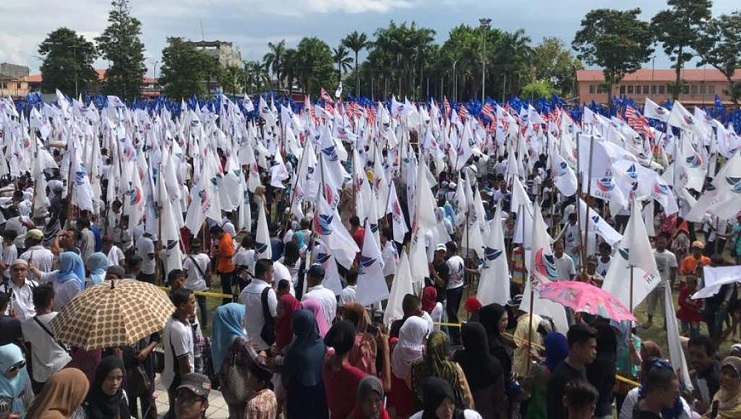 The Warisan supporters in Semporna. 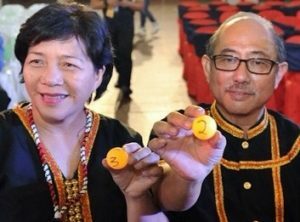 Christina Liew, left, will contest the Tawau parliament seat while Jimmy Wong returns to Sri Tanjung. 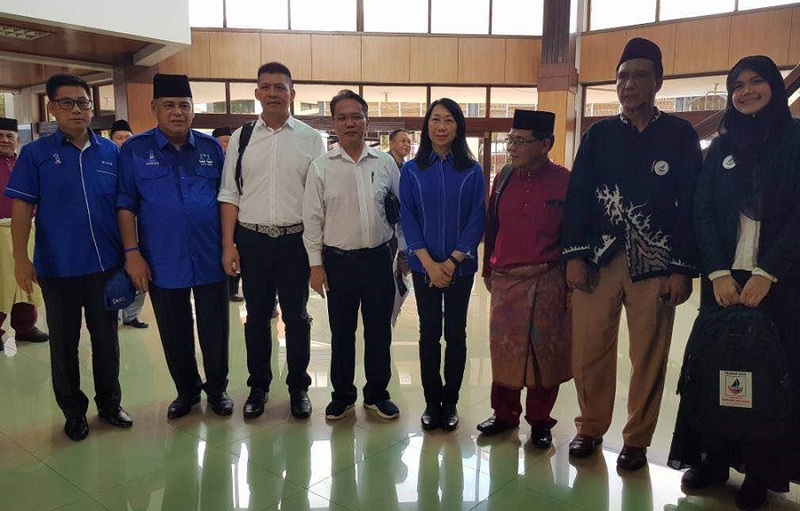 Mary Yap, right, will be defending Tawau while Nizam Titingan is in Apas and Osman Jamal in Balung.